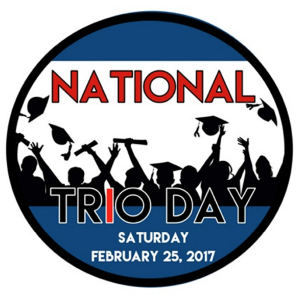 The National TRIO Day of Service was held Saturday, Feb. 25, 2017, as a way for TRIO participants to express their appreciation for the ongoing support local communities provide to TRIO programs across the country. For millions of students from low-income families who strive to be the first in their families to attend and graduate from college, eight federally funded programs called TRIO are making a world of difference. Unlike student financial aid programs that help students overcome financial barriers to higher education, TRIO programs have been providing valuable supportive services to students from poor and working families to successfully enter college and graduate for more than five decades. Today more than 1,000 colleges, universities and community agencies host more than 2,800 TRIO projects that serve approximately 820,000 young people and adults. Thirty-four percent of TRIO students are white, 33 percent are African-American, 21 percent are Hispanic, 4 percent are Asian-American or Pacific Islander, 4 percent are American Indian, and 1 percent are listed as other, including multiracial students. Alicia Atwater and Ruby Murillo, TRIO Student Support Services advisors at Inver Hills Community College, hosted a gathering of TRIO students on Tuesday, Feb. 28, to recognize the 31st anniversary of National TRIO Day—the original recognition day was proclaimed Feb. 28, 1986, by the U.S. Congress. 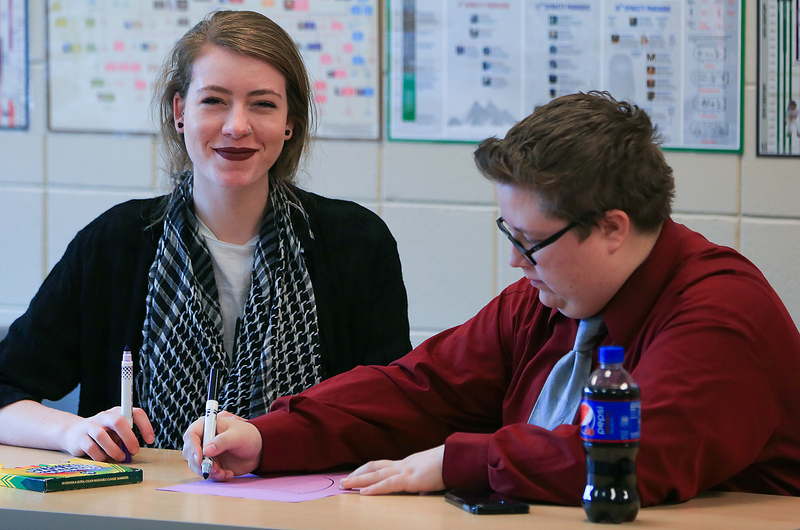 TRIO Student Support Services (SSS) empowers students to succeed at Inver Hills and transfer to earn a four-year degree by providing academic advising, guidance in the transfer process, and a positive community of support. SSS is one of the federally-funded TRIO programs that provide a pathway to higher education opportunities and success. Nick Altendorfer, 19, originally from Lonsdale, Minnesota, is a 2016 graduate of New Prague High School. Nick is a freshman at Inver Hills earning his Associate of Arts (A.A.) degree. He works in the college bookstore to help pay for school. 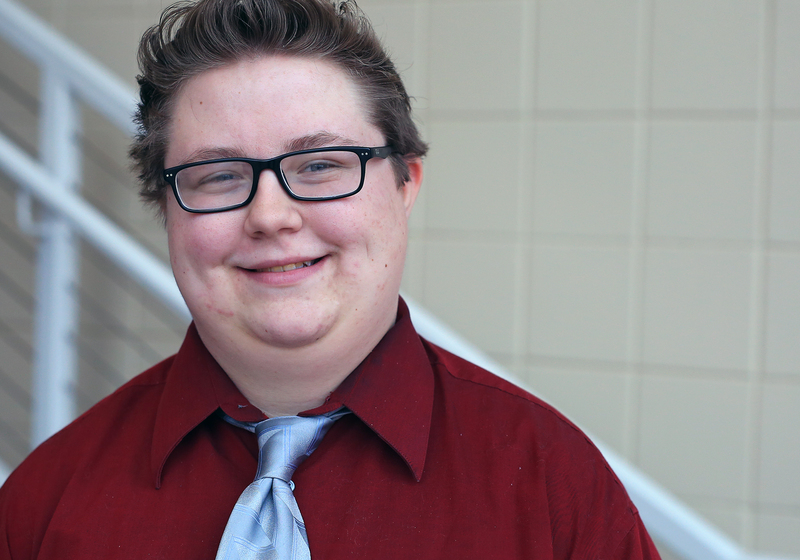 After graduating from Inver, Nick plans on attending Augsburg College to major in accounting. His career goals are centered on becoming a CPA in a corporate setting. What do you like best about Inver Hills? What’s not to like about Inver? I love the atmosphere. Everyone is super-understanding. I’m really good at crunching numbers. My first job was working as a cashier in a grocery store. I found that liked working on my bank records when I got my first paycheck. My two best friends died in a car accident just two weeks after I started college. One was my prom date. I had a crush on my other friend and never got the chance to tell her. I grew up with a single mom who had to work three jobs. I want to achieve stability in my life. How did TRIO SSS enhance your college experience? I wouldn’t be at Inver if not for TRIO. I checked out after the car crash. Alicia [Atwater] helped me get back on track and worked with my instructors. She was my life vest. What TRIO SSS activity or event did you enjoy the most? All the events. The more you attend, the more you get to know the staff and students. Tours are a blast. What will you miss most about TRIO SSS? The whole community and family feel. You always have someone to talk to, mentors, advisors, students—like one big family. What would you tell a student who’s thinking about participating in TRIO SSS? If they don’t join, they’ll be missing a lot of opportunities. Originally from St. Croix Falls, Wisconsin, Emily Singerhouse, 19, graduated from St. Croix Falls High School in 2015 and relocated to St. Paul, Minnesota. Emily is a sophomore pursuing her A.A. at Inver Hills. 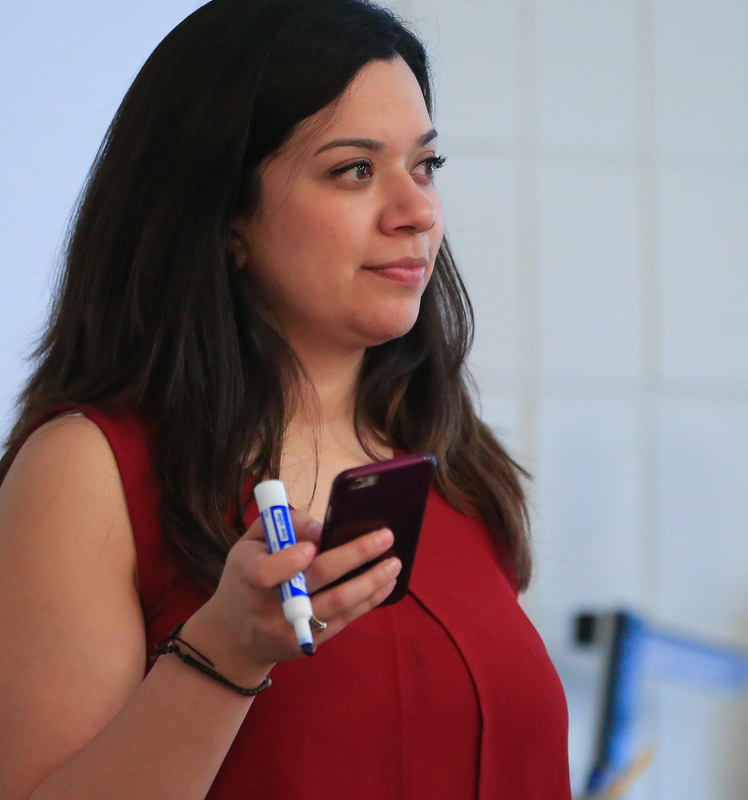 She work two jobs while going to school, one as an employer relations coordinator in the college’s Center for Experiential Learning, and one as a beauty advisor at Herberger’s. Emily is looking at transferring to St. Kate’s, Hamline or the University of Minnesota after Inver. 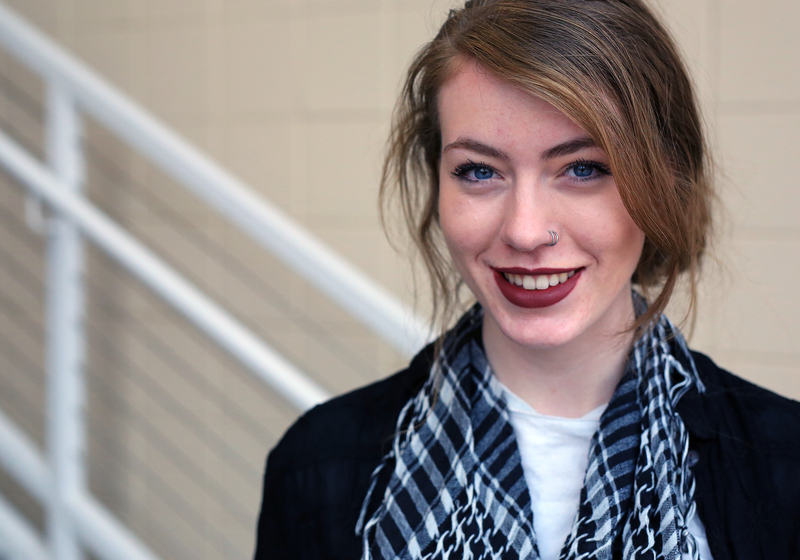 She wants to double-major in political science and English with a minor in global studies. She can see herself in a number of professions, including college professor, lawyer and politician, the latter linked to her ultimate aspiration of becoming president of the United States. I love the natural setting of the campus with its woods and trails. I am very interested in politics and making a difference in the world. Living on my own and making ends meet. My advisor, Ruby [Murillo] gave me clarity by offering me a different set of eyes. She showed me all the opportunities TRIO has to offer, including studying abroad and scholarships. Being in TRIO has also enhanced my work ethic. I knew no one in the area when I first moved to St. Paul. TRIO is a place to find friendship and cultural diversity. I really enjoyed Summer Bridge. We went canoeing, played volleyball, rode a zip line and went camping. Do it and take advantage of everything TRIO has to offer.